Watch, record and playback from any room in the house with a whole home DVR from HMU. 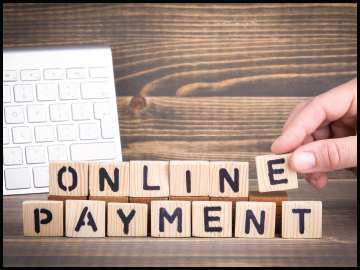 Click More to pay electric, gas, water and telecom bills online or set up an online account. Click here for brochures and forms for Residential and Commercial Lighting, Insulation, Appliance, Furnace and A/C. 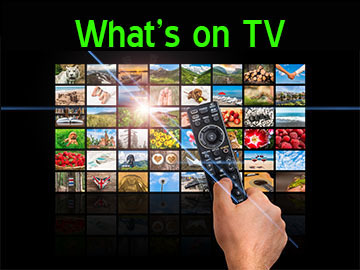 Click here for the latest TV Channel Line up Guide to help you find all your new favorite shows! 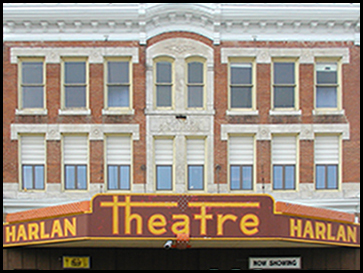 Click here to see what's showing at the Harlan Theatre. Call Theatre at 755-2310 for more information. Have You Completed Your Housing Survey? 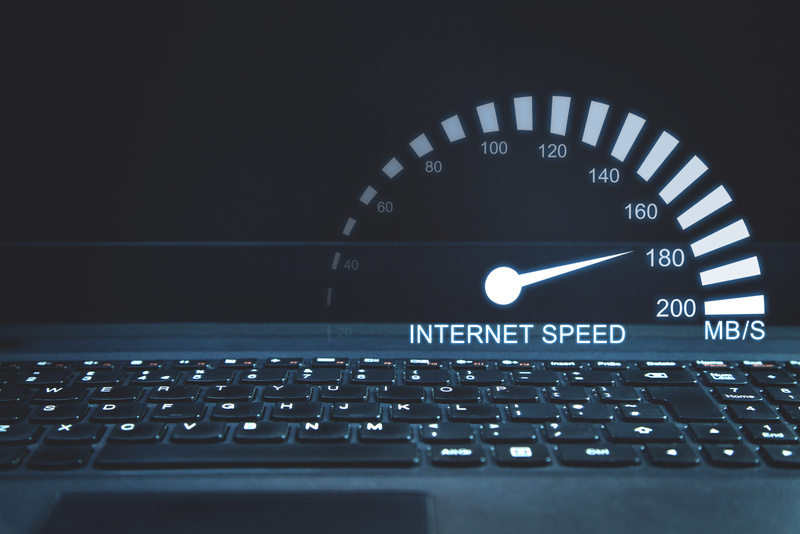 Surveys are available online or at Harlan City Hall, Harlan Community Library, and Shelby County Chamber of Commerce and Industry. Click Here for City of Harlan Housing Survey. Check your Electric, Gas and Water account, including past history, online. You can also make a payment toward your account. Have your account number ready and log in. 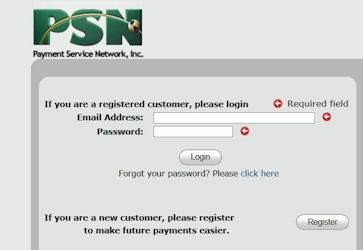 Click here for the PSN login page to check account balance. HMU provides local programming all day every day. Take your favorite TV shows and live sports with you wherever you go with WatchTVeverywhere. WatchTVEverywhere is a free service to HMU cable customers. Watch middle school and high school graduations from 2000 to current, PreK thru High School plays, school and community concerts, events from Shelby County Catholic School, community events, interviews, and so much more. Videos will be posted online approximately thirty (30) days following the event. 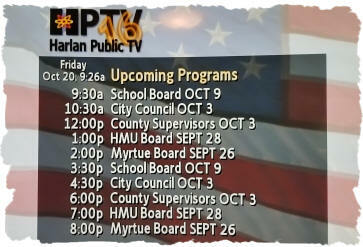 For current viewing, watch Harlan Cable TV Channel 15. 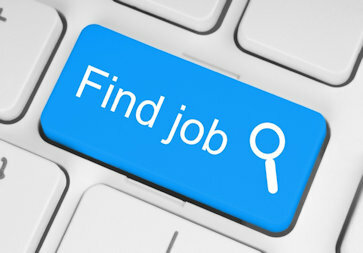 Click here for a list of Online Videos available. For SecureIT customer support call 319-298-4700. 24/7/365 support is part of your service. Download and complete the sign-up form to start your Secure IT Anti-virus protection. Click here to download the PDF signup form! Want to know what's on TV? HMU has an online progamming guide for your convenience. Click here for the complete programming guide. HMU is not currently accepting applications. HMU is not currently accepting bids. Cyclone Soccer...Watch it now on HLTV 15. From Harlan Municipal Utilities, Harlan's Premier Provider. Installing a programmable thermostat helps regulate your home’s heating and cooling to fit your schedule and lifestyle. 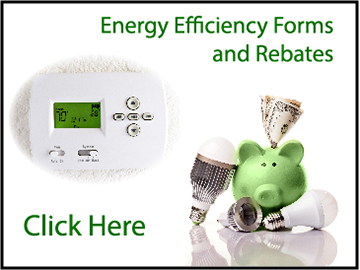 Rebates are available for installing a programmable thermostat. Proper insulation helps keep warm air in your home and cold air out making you home more energy efficient and comfortable. Rebates are available for installing proper insulation. See us for details. LED light bulbs save energy and lower your lighting costs. Rebates are available. See us for details. Energy saving tip: Keep it safe. Keep it efficient. Now is the time to have a professional furnace inspection and tune up before cold weather comes. Think you small gas? Leave your home or business immediately without touching or doing anything else. Do not operate any light switches, flashlights, electrical devices or use your home telephone. Call us at 755-5182 when you and others are safely away from the building.